The 100th Regiment of Foot recreates an actual British Army Regiment from the Napoleonic War period.The Regiment has the unique opportunity to perform early 19th century military drills, musket firing, and music for visitors from all over the world right in the heart of Canada's capital. The regiment's members are dressed and equipped in a manner that accurately reflects the original unit during the years 1813 to 1815. 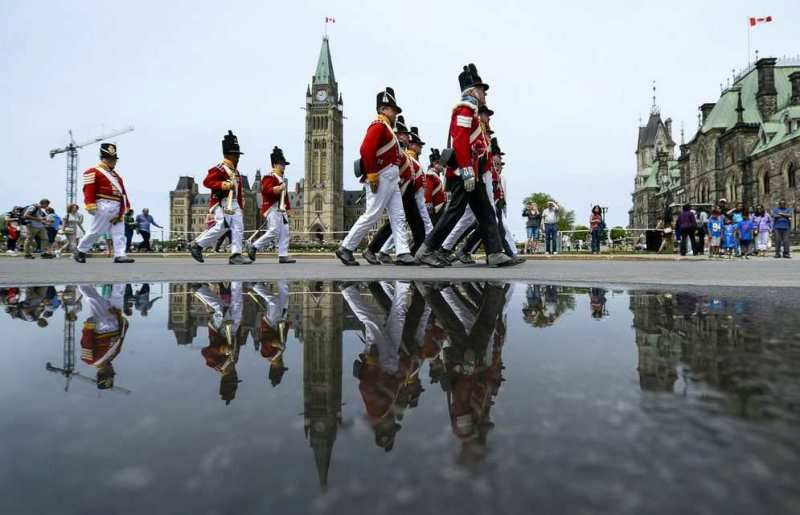 Active throughout the year, the regiment spends much of the summer months on Parliament Hill and the adjacent Rideau Canal’s Ottawa Locks located downtown next to the Chateau Laurier. The Rideau Canal is both a National Historic Site of Canada and a UNESCO World Heritage Site. When not on Parliament Hill or at the Ottawa Locks, the regiment attends community events, parades, heritage days, and battle re-enactments.